Hello my name is 'Buck', and I didn't get to attend last weeks flea market, because my boss was feeling very poorly. I hope to be on the golf cart with him this week. Wednesday 4/23/2014. See long range forecast below. I came across a few old aerial photos of the flea market that were taken in 1981. They have been posted on a page in our website. You will notice, there is no mobile home park across the highway, no building to the south of Sam Allen Rd. Back then almost nothing was out there but the market and a few houses. Click Here To View The Page Of The 1981 Aerials. 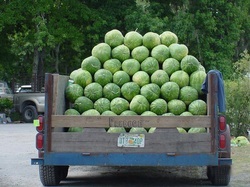 Watermelons from south Florida are beginning to arrive. The price will be a little high for the first couple of weeks, and are expected to drop quickly when they reach full production. 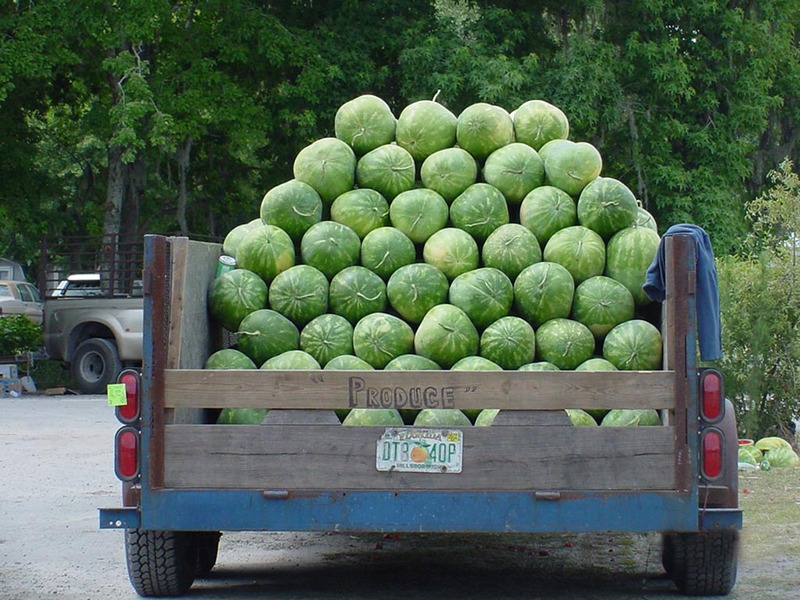 The price of produce on this page does not necessarily mean that is the going price on the entire market. We stop randomly at different vendors and ask the price at that given time. The price in the early hours could be higher, and in the evening hours it could be lower when they are beginning to leave. The prices shown here should however give you an idea of what you could expect to pay. 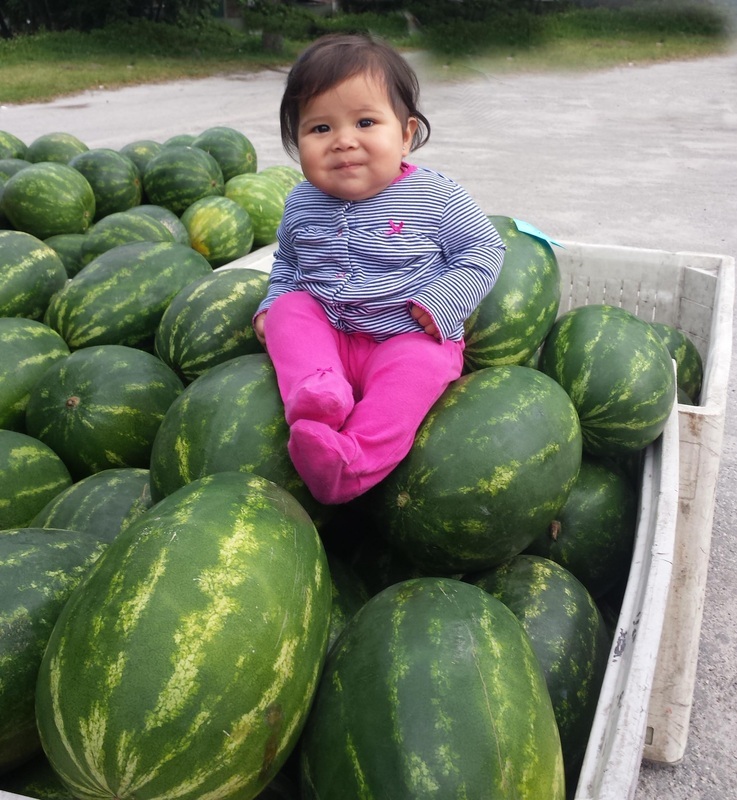 The price you will pay for produce at the Plant City Farm & Flea Mkt. will almost always be lower than the price that is posted at any major produces exchange terminal. On this day in history April 23, 1939; Ted Williams, hits his first home run. Nicknamed 'The Kid' Williams played his entire career for the Boston Red Sox as a left fielder and remains one of the game's greatest ever hitters. He has the highest batting average of any player in the live ball era and his on base percentage is the highest of all time. Although his career was interrupted by service in the Korean War he still managed to play until the age of 42 before becoming a manager for the Texas Rangers. he was inducted into the baseball Hall of Fame in 1966. Professional baseball player 'Hammerin' Hank Aaron hits the 1st of his 755 homers. He played 21 seasons for the Milwaukee and Atlanta Braves (1954-1974)and 2 final years for the Milwaukee Brewers as a right fielder and a star hitter. In 1974 he bettered Babe Ruth's home run record. Aaron then held this record for 33 years. Aaron continues to hold the record for the most seasons as an All Star (21). He was best known for his distinctive, powerful voice, and dark emotional ballads. 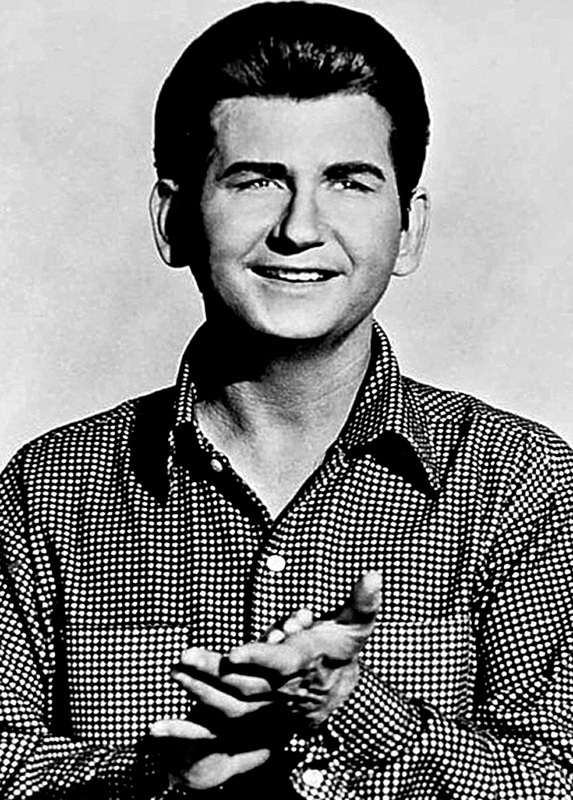 Orbison grew up in Texas and began singing in a rockabilly/country and western band in high school until he was signed by Sun Records in Memphis. His success came with Monument Records between 1960 and 1964, when 22 of his songs placed on the Billboard Top 40, including "Only the Lonely", "Crying", and "Oh, Pretty Woman". His career stagnated through the 1970s, but some covers of his songs and the use of "In Dreams" in David Lynch's film Blue Velvet (1986) revived his career. Roy; experienced more than his share of tragedy in his short life. His first wife, Claudette Frady died in a motorcycle accident on June 6, 1966 in Gallatin, Tennessee. On September 14, 1968, the Orbison family home at Old Hickory Lake in Hendersonville, Tennessee, burned to the ground while Orbison was touring in England. Two of his three sons, Roy Jr. (b. 1958) and Anthony (b. 1962), died in the fire. His youngest son Wesley, who was three at the time, was saved by Orbison's parents. And now for a little worthless & useless information. women can; women can hear better. Answer is at the bottom of this page.